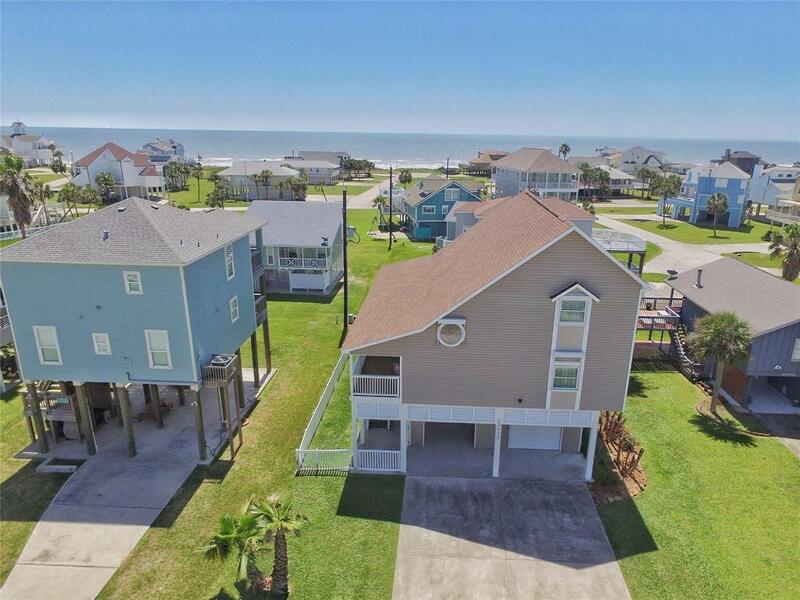 Coastal-theme Pirates Beach home sits just 2 blocks from the beach & offers bright open entertaining spaces! 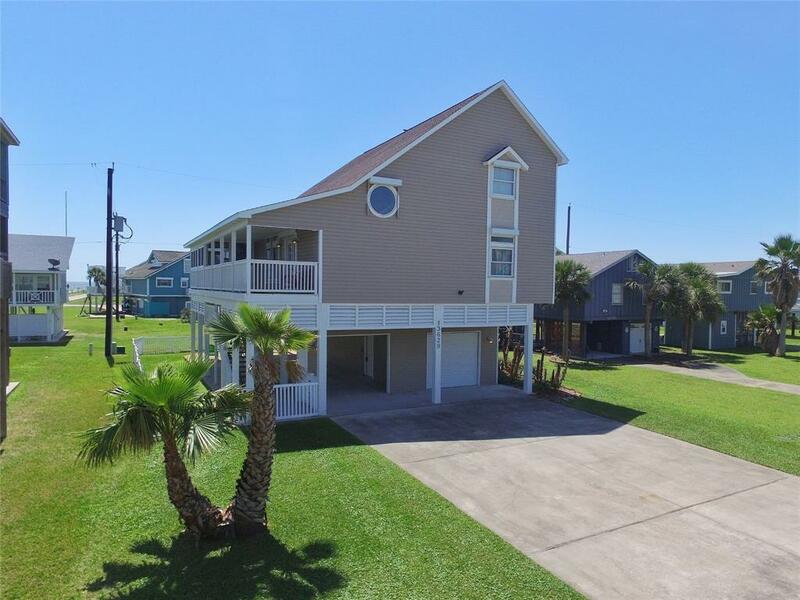 Soaring white-wash ship lap ceilings with walls of built-ins in the open island kitchen showcasing stainless appliances including a wine chiller, gorgeous granite counter tops, and a breakfast bar providing in-kitchen seating for your guests. Dining & breakfast areas. Bamboo flooring all throughout - No carpet in this beach side home! 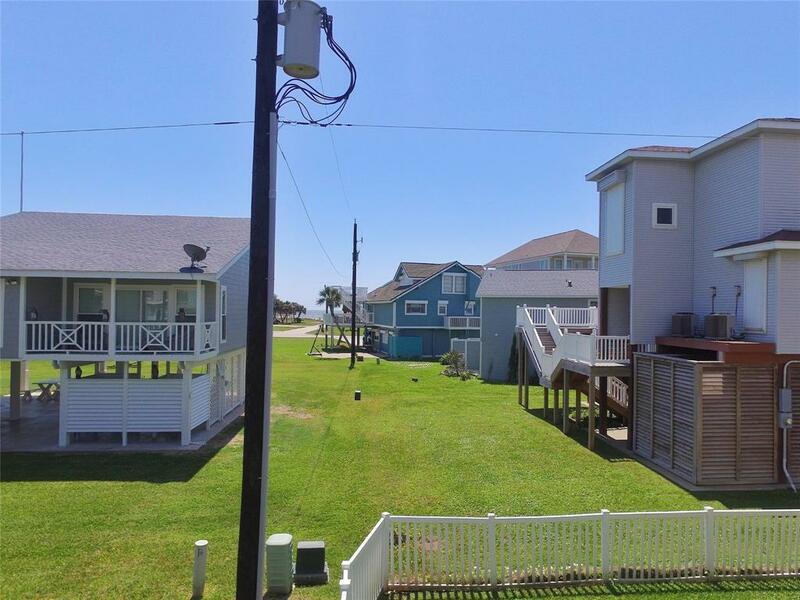 Huge sought-after 1st level Master with deck access & a new gas-log fireplace. Jetted tub & walk-in shower. 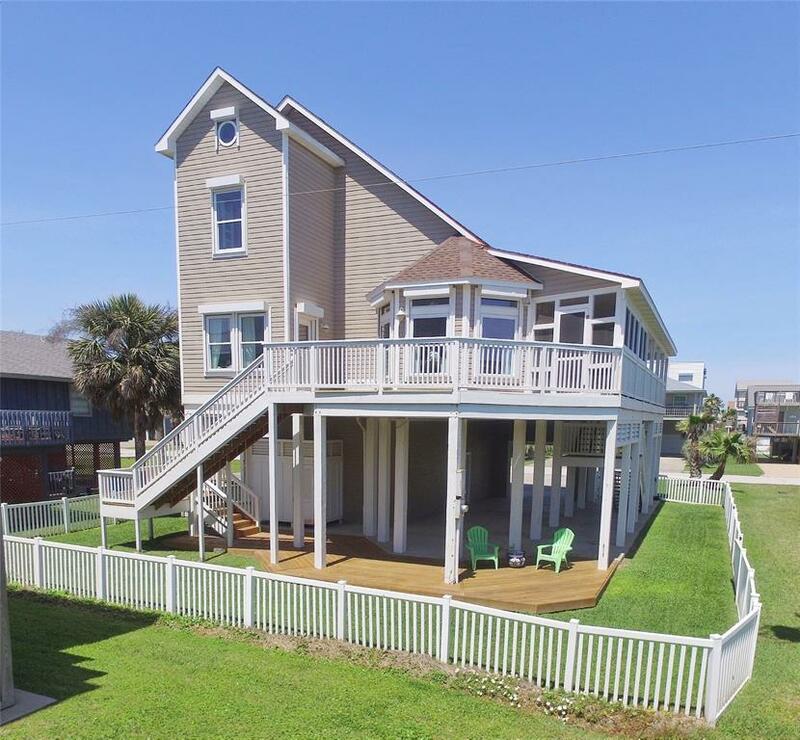 Walk out to witness peaks of beach views from the wrap around South-facing deck & screened in porch! 2 guest bedrooms plus a bunk room up. 2nd level living area with a gas-log fireplace. Expansive ground level entertaining areas. Electric shutters over windows & doors. Energy-saving LED recessed lighting throughout. Freshly painted interior and new bamboo floors 2018. Short golf cart ride to the beach!